If you haven't heard yet, the place I stayed in Boracay a few months back just got nominated for the Travel + Leisure World's Best Awards. 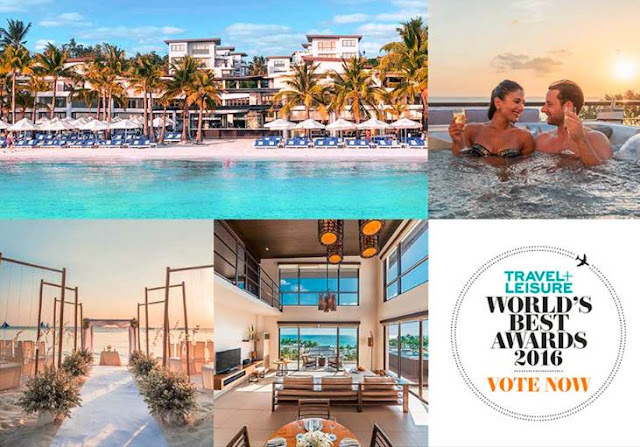 They have been consistently getting accolades as one of the best destination resorts in the world and this year, they're proving once again to be worthy of this award as the voting ends tomorrow February 29. Discovery Shores Boracay is one of the best places I've ever been to and if you want to make the country proud this year, you better get ready to vote for them today by going to their website https://tlworldsbest.wylei.com. You will be brought to answer a survey then to a voting page. All you need to do is choose Hotels > Asia > Philippines > Boracay > then Discovery Shores Boracay Island. Rate the property then choose NOT to rate hotel brands. You will then be notified that your vote is complete and voting will only be allowed until the 29th of February. That's tomorrow so if you have spare time today, would you mind voting for them? I just did. This will not only be good for the business, but will make the country proud! If you wish to know more about their awards, check Discovery Shores here.